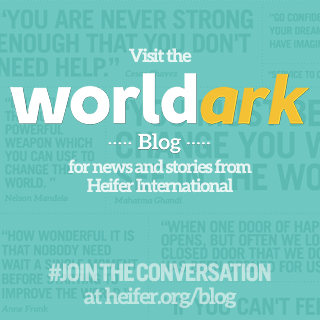 Heifer in Sacramento: Thank You for Supporting Heifer Projects in Guatelmala! Thank You for Supporting Heifer Projects in Guatelmala! 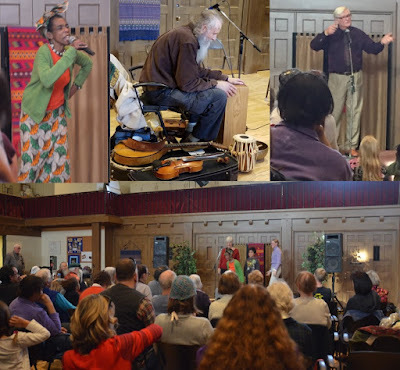 On Sunday, January 29, an afternoon of storytelling by Mary McGrath, Ray Tartar, and Angela James partnered with world musician Bob Wren was enjoyed by all at Westminster Presbyterian Church. This was the second storytelling fundraiser organized by Heifer Sacramento volunteers, this time in support of Heifer projects in Guatemala. Attendees of all ages... young, old and in- between... were captivated by tales told with music from around the world. Thank you to Mary McGrath, Angela James, Ray Tartar, Bob Wren for sharing their talent entertaining a packed house with timeless stories. Thank you to Mr. Luis Perez for bringing handcrafts from Guatemala to lend color and beauty to our event. And thank you to all volunteers that made our storytelling fundraiser for Heifer Guatemala a terrific success. Top left to right: Angel James, Bob Wren, and Ray Tartar. The big hall at Westminster Presbyterian provided a cozy and comfortable space for all to enjoy the stories with space to visit the Heifer displays before and after the event. Many attendees stayed afterwards to learn more about Heifer's work, enjoy refreshments, and shop for handmade items imported from Guatemala. These items were brought by Mr. Luis Perez, owner of El Maya located in Old Sacramento. Mr. Perez generously donated part of the sales at the event to Heifer Guatemala. 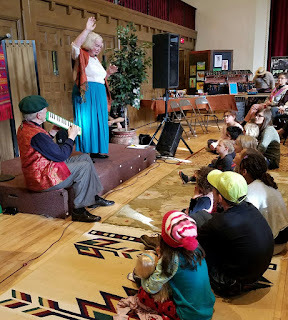 Mary McGrath and Robin Aurelius tell a story to a rapt audience. Funds raised from this event will be matched by an equal gift to Heifer International and dedicated to Heifer projects in Guatemala and. Some of the Heifer projects in Guatemala benefiting Mayan participants that these funds would support include planting of trees to prevent erosion andlandslides, better nutrition through diversity of protein sources, and help with development of much needed disaster plans. 0 Response to "Thank You for Supporting Heifer Projects in Guatelmala!"